Additional information about Fear/Bean a’ Tí: Both Andy and Kitty work together in the St Aidan’s Parish Hall, Storytelling House in Bunclody. 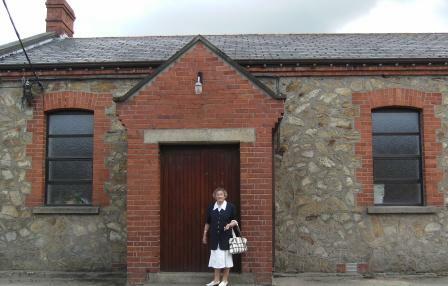 Address of Storytelling House: St. Aidan’s Parish Hall, Bunclody, Co. Wexford. When does the Storytelling in this house take place? It takes place on the 4th Thursday of each month, (except the month of December). How long is this Storytelling House in operation? Since 1999. How many people can this Storytelling House accommodate? About 100 people . We have a full house each month. Are there any times during the year when the Storytelling House closes? In December each year, our schedule for our storytelling night always clashes with Christmas week so we don’t tend to have it on this one occasion. Additional comments/information regarding this Storytelling House you wish to include? We try to create a cosy rambling house – it works very well. It is always a great success and people love to come back each month and take part. Directions to St. Aidan’s Hall Storytelling House are indicated on the map below.